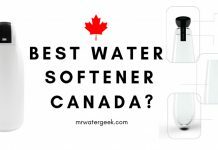 Home Water Softeners Water Softener Guide Calcium Water Filter: Is It Really WORTH Buying? 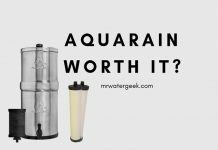 Before talking about getting the right calcium water filter, let’s talk about water. 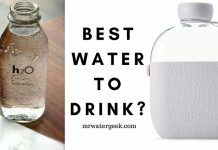 It’s easy to forget how important water is in our lives. Of course in our homes it’s a tool but we also need it in our diet. 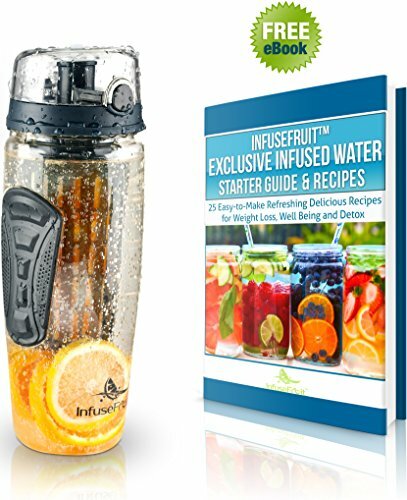 Water is a fluid medium that transports material from one place to another in our body. 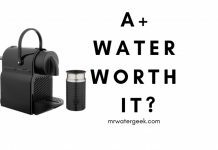 However, unlike most tools, water does not come with a manual. If that were the case, you would know why the dishes you thought were washed are covered with white limescale stains when they are dry. Or why the shower water leaves a film on anything it touches or the pipe system is encrusted with ugly green stuff. While water is in the soil, it collects soluble fragments of everything that happens. 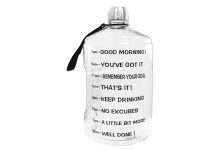 Calcium can be a contaminant that makes water unsuitable for drinking. 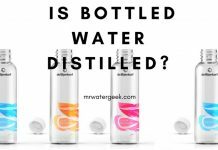 But in many cases it simply means that water contains minerals that naturally appear in soil or hardness that appears in most cities. Of these, calcium in water is of particular importance as it impairs the functioning of water in our homes. Calcium in water can be a problem. But this article will highlight the best ways to remove calcium from water. What Is The Source of Calcium? 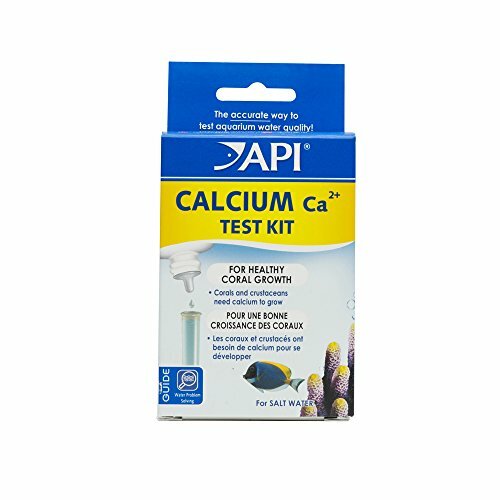 Treatment of Calcium in Water? 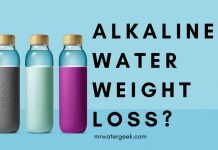 What’s The Problem with Calcium in Water? Calcium is the major constituent of water hardness and is generally in the range of 5 to 500 mg / L as CaCO3. It comes from almost all rocks. But the highest concentrations come from limestone and gypsum. Calcium ions are the major cations in most natural waters. The reduction of calcium is necessary in the treatment of hard water. It is also necessary for refining metals, textile work and a boiler feed applications needs complete calcium elimination. 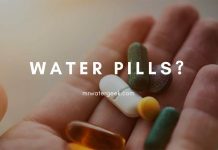 Water hardness (calcium in water) measures in grains per gallon (GPG) or milligrams per liter (mg / L, corresponding to parts per million or ppm). 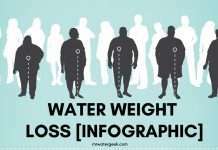 Water up to 1 GPG (or 17.1 mg / L) is soft. While water from 1 to 3.5 GPG is medium hard. 7 to 10.5 GPG is very hard. 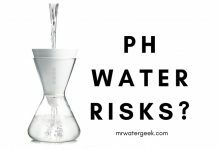 In general, hard water is not a health risk. It’s not great for appliances especially when in very high levels. 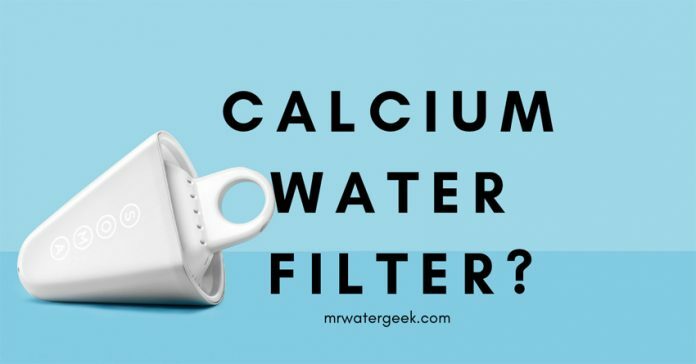 Calcium and magnesium in water is what leaves behind white limescale stains on your sink, faucet, glassware, and the residue at the bottom of your kettle. It makes water taste horrible. 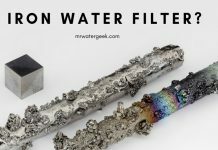 Hard water that is high in calcium can have a metallic taste. 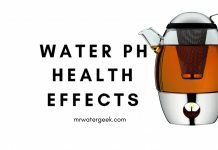 This taste can affect the quality of your cooking, teas, coffees and the quality of your shower water. 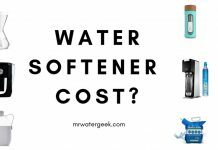 The simple answer is to get a water softener. Calcium, like all water hardness, can be removed with a simple cation exchanger in the form of sodium based water softeners. 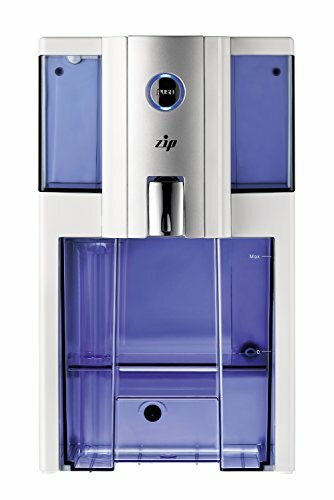 Alternatively, reverse osmosis removes 95% – 98% of the calcium in water. Or, Electrodialysis and ultrafiltration can eliminate calcium. 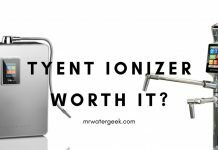 Calcium can also be removed with the portion of the cation exchanger in the form of hydrogen from a deionization system. One effect of hard water is that soaps and detergents lose effectiveness. Instead of dissolving completely, the soap takes longer to form foam. As less soap dissolves, more is needed. The insoluble and sticky foam can adhere to skin hindering any moisturizing effect. The result of this is that your hair looks dull and lifeless. The effect on laundry is not much better. Hard water can penetrate into your clothes while it’s getting washed in your automatic washing machine. This can remain in the fiber, harden or scratch the fabric. The incomplete removal of dirt in clothes causes a a loss of brightness in the colors. Clothes may also develop an acid smell. Continuous washing in hard water can shorten the life of clothing. In addition to the actual washing process, deposits of insoluble soap leave stains on anything you wash from the plates to the family car. And a soap film accumulates in your bathroom and in the shower. Another reason to worry about calcium in water is the effect on your plumbing system. Calcium in water can accumulate in pipes, thereby reducing the flow to fittings and equipment. With water heaters, these minerals produce scale deposits that reduce the efficiency and life of the heater. 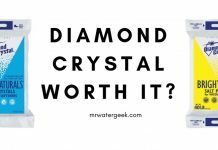 Some synthetic cleaners are less effective in hard water because the active ingredient is partially inactivated by hardness. Hard water also contributes to the inefficient and costly operation of water-use equipment. The pipes can be clogged with a scale that reduces the flow of water and ultimately requires the replacement of the pipe. 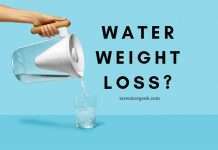 The solution to the problem is to target calcium in water. 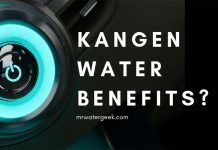 Yes, it’s true that calcium consumption is not harmful to health but the most practical solution could be a water conditioner or water softener. 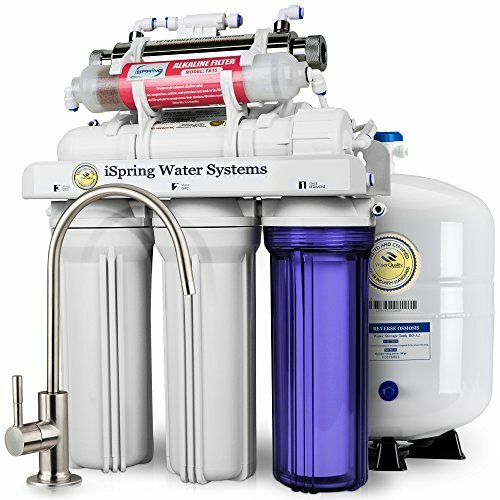 A salt based water softener eliminates calcium and magnesium. 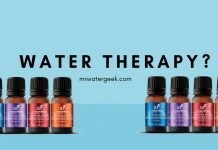 This makes the water “soft” and calcium free. 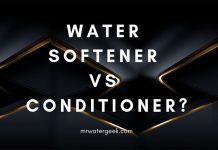 Alternatively, you can use a salt free / salt-less water conditioner that does not have to regenerate like a conventional water softener. However, this type of unit does not require any chemicals or salts to complete the conditioning process. 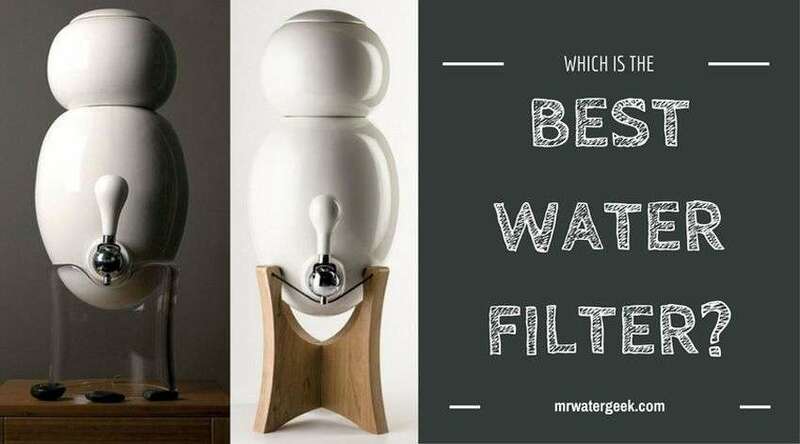 Another general solution is not to remove the calcium from water, but to treat the calcium in your water by installing some type of in-line filter. 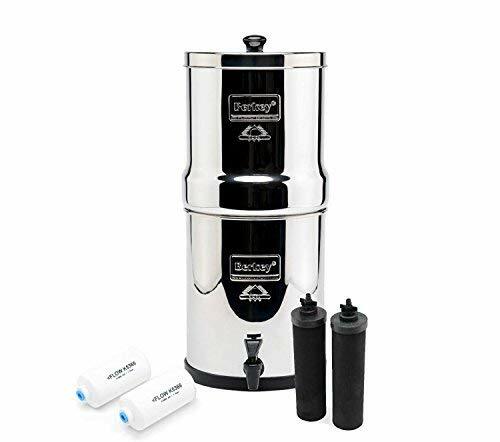 If you can not take calcium for health reasons, you need to install a high quality 5-step reverse osmosis potable water system that removes calcium. 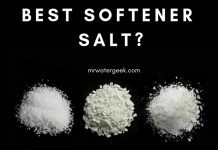 The reason I say it is simple is because you do not need to buy salt like is the case in a water softener. 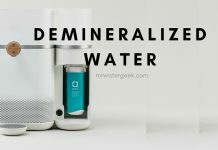 Also, you do not lose water because a reverse osmosis machine does not need to be regenerated. Hard water affects almost all cleaning tasks, from washing dishes to bathing and personal hygiene. Clothes that are washed in hard water can look dirty and feel rough. 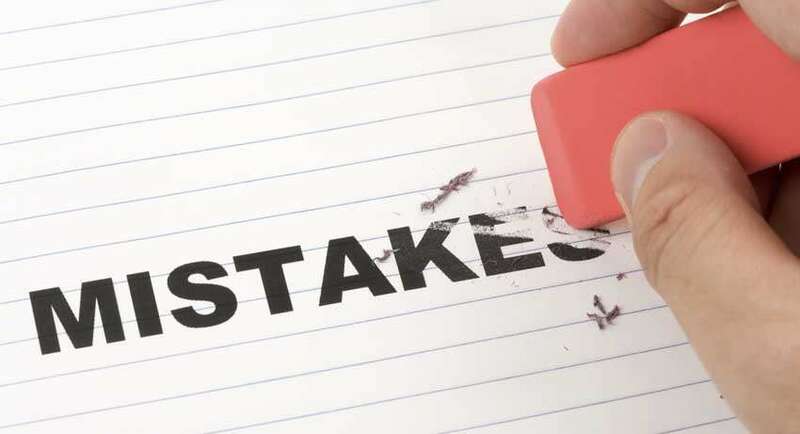 Hard water can cause a white limescale film on the glass doors of the shower, shower walls, bathtubs, sinks, taps, and leave residue in kettles. Hair washed in hard water can feel sticky and dull. 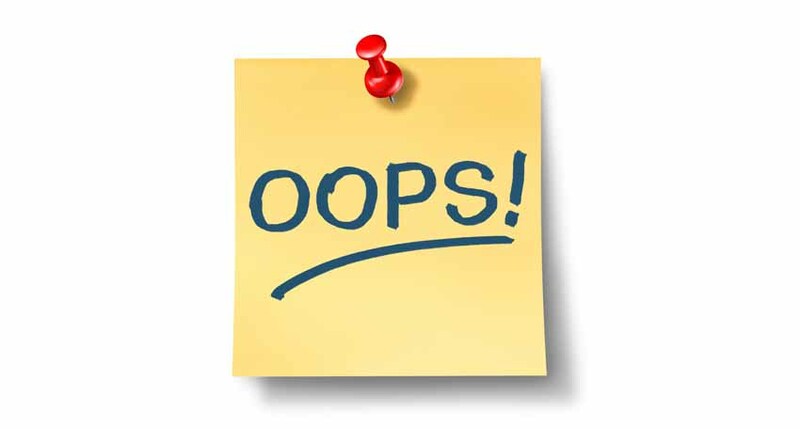 Even the level of water pressure can be reduced by hard water calcium deposits in the pipes. The amount of calcium minerals that cause hardness affects the amount of soap and detergent you need for cleaning. 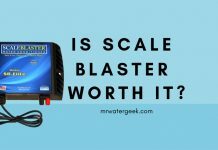 This is because hard water reduces the amount of foam that generates. 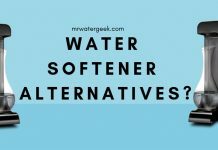 The simple answer is to use a reverse osmosis or get a water softener. Calcium, like all hardness, can be removed with a simple cation softener in the form of sodium. 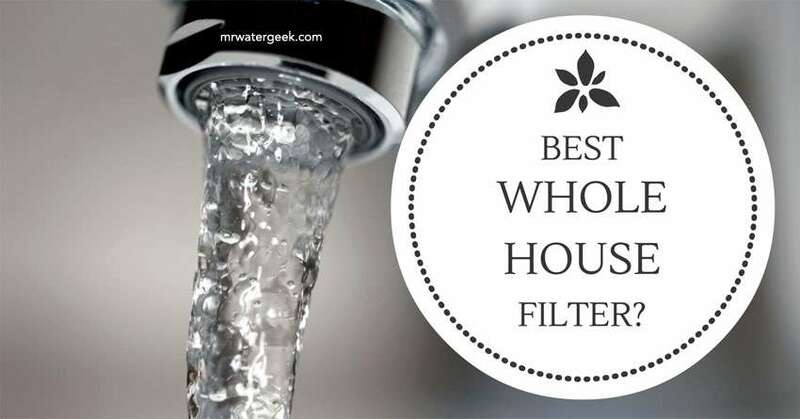 A Fleck SXT can deal with very hard water issues and provide enough soft water for an average household. If you have a larger household then go for a higher spec model like the 7000SXT and 9100 SXT. 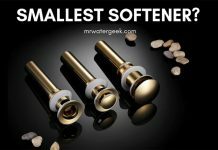 Fleck SXT water softeners are very easy to install. 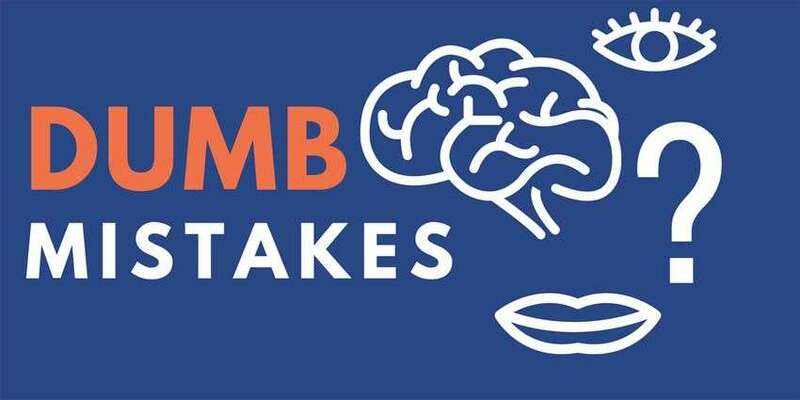 A person with basic plumbing skills can do it with all the free information available online. 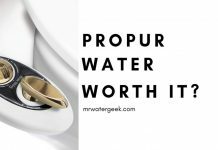 Although it’s always advisable to get a professional plumber so that you don’t void your warranty. 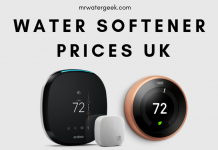 They offer the best value for money with prices starting at around $584.99, which is cheap when compared to the start price of $1,000 of the average water softener from other brands. These are low to no maintenance machines and they typically take care of themselves. The SXT models are designed to consume less water which also means lower operating costs. 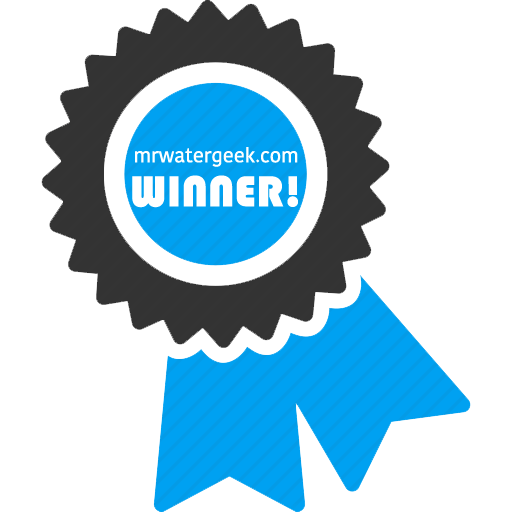 Fleck is the most popular water softener model selling today period. 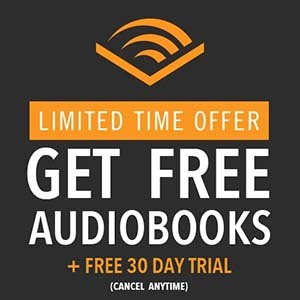 This means that there are lots of free help pages online talking about how to deal with any technical issues, troubleshooting and free manuals. 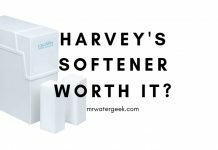 More than is available for any other softener brand.